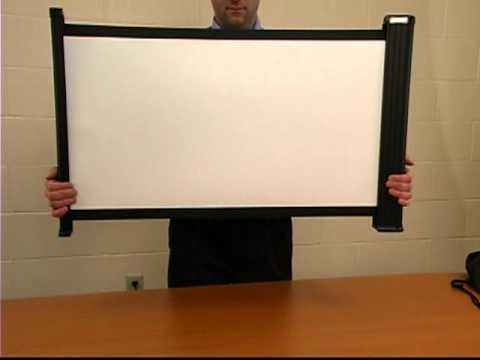 Looking for a great portable screen to go with all these new micro (pico) projectors like the ones from 3M? Da-lite has released a new screen system which was specifically designed to be used with these types of projectors. The screen comes with it own case and expands to a 30″ diagonal HDTV format, but can be expanded to a 4:3 format as well. In the closed position, the screen case is only 19″ long and weighs 5 pound.